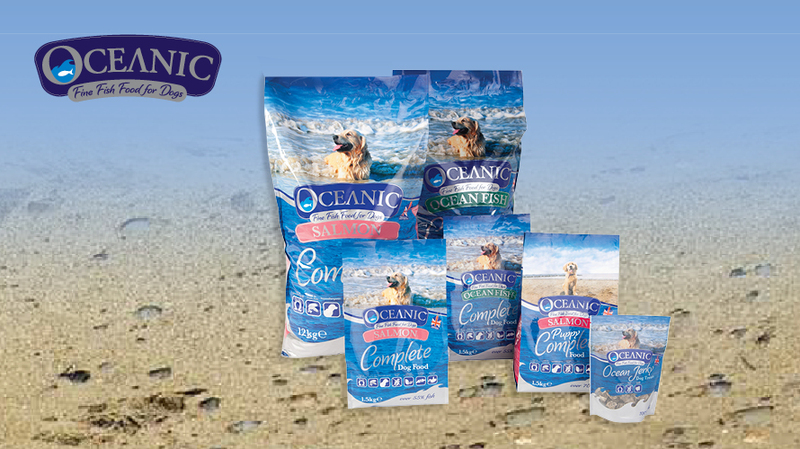 Oceanic is a super-premium range of complete dog foods and treats, rich in fish. At Oceanic we wanted to create a nutritious and tasty range using only the highest quality of ingredients that have been responsibly sourced. As an excellent source of omega oils and natural minerals, fish is a highly digestible protein for dogs…dogs love fish! Made in the heart of Lancashire at one of Pets Choice’s state-of-the-art manufacturing facilities, Oceanic is made without cereals, meat protein, or soya. Containing no added colours, no artificial additives, or preservatives, our food is hypoallergenic and perfect for dogs with food sensitivities.